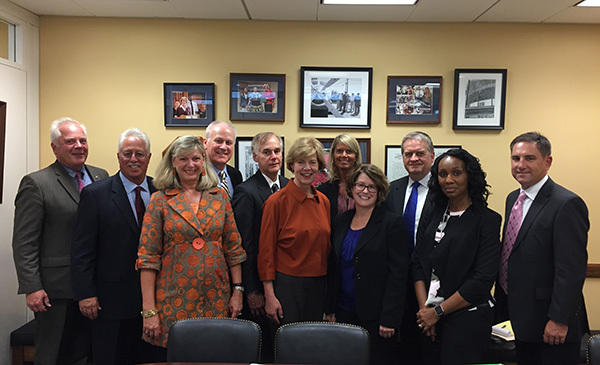 Domtar colleagues recently visited Washington, D.C., to show support for H.R.756, the Postal Service Reform Act of 2017. This legislation will shore up the U.S. Postal Service and allow it to continue its constitutionally mandated service to the people of the United States. In cooperation with the Envelope Manufacturing Association and other industry professionals, we advocated for the Postal Service Reform Act and emphasized the Postal Service’s role as a critical link between the paper industry and consumers. Industry representatives met with lawmakers to lobby for the passage of the Postal Service Reform Act of 2017. Pictured from left to right: Tom Howard, Bill Koehn and Kelly Shepherd from Domtar; Eric Schmidt and Thomas Rewolisnki from Western States Envelope and Label; Senator Tammy Baldwin, D–Wisconsin; Tammy Waterhouse from Western States Envelope and Label; Tina Howard from Domtar; Greg Retzer from Western States Envelope and Label; and Isabelle Harrison and Rob Melton from Domtar. A financially stable Postal Service is vital to the domestic printing, mailing and paper industries. It contributes $1.4 trillion to the nation’s economy and employs 7.5 million Americans. 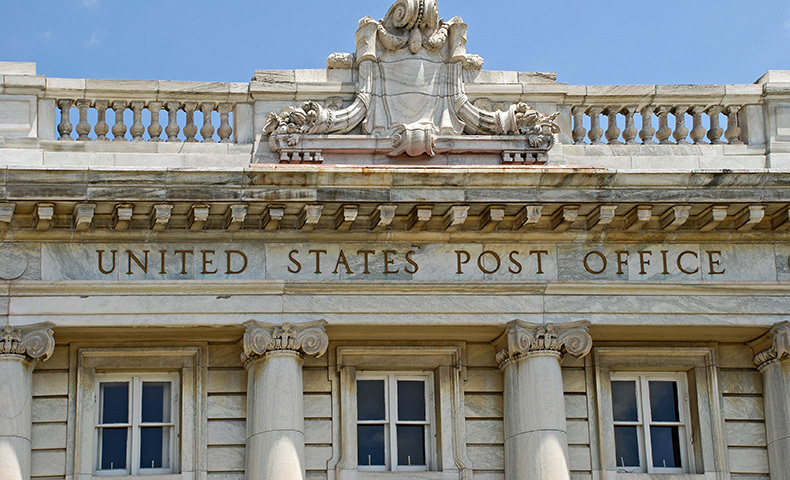 The Postal Rate Commission recently authorized a rate increase of one cent each for Forever Stamps, postcards and metered letters in an effort to increase revenue. The new rate will take effect January 21, 2018. H.R.756 is silent on the issue of six-day delivery. Loss of Saturday delivery would eliminate a key delivery day for certain targeted mailings, forcing some mailers to seek alternate methods of delivery. The Congressional Budget Office has predicted that while H.R.756 would increase Medicare costs by $10.7 billion (less than 1 percent of total annual claims) over the next 10 years, it would provide $6 billion in net savings to the overall federal budget. The remaining barrier to consideration by the full House of Representatives is House Ways and Means Committee Chairman Kevin Brady, R–Texas, who must review the bill’s provisions on Medicare. We believe that hard-copy communication is the most effective method for citizens to receive important information. For those citizens lacking Internet access due to age, income or rural residency, paper correspondence is an essential communication lifeline, and the U.S. Postal Service is essential to maintaining that lifeline. Many government agencies and businesses have imposed, and continue to impose, barriers to receiving printed information. A good example is the 2016 attempt by the Securities and Exchange Commission to pass Rule 30e-3, which would have permitted an automatic default to electronic delivery of mutual-fund shareholder reports. While Rule 30e-3 ultimately did not pass, it may come up again in future legislative sessions. We advocate for reform because we believe a citizen’s right to choose to receive essential information on paper should be protected, and we believe in protecting the interests of our industry. That citizen choice should be retained and that citizens not be forced to accept important information by digital means. That the SEC should abandon the proposed Rule 30e-3 that would allow mutual-fund issuers to make electronic delivery the default method for delivering annual and semiannual reports. That the Social Security Administration should fulfill its commitment to provide printed earnings statements at least every five years as required by law. To find out more about the Postal Service Reform Act of 2017 and our role in it, read the article Domtar Advocates for U.S. Postal Reform. You can also learn what the world might look like without the U.S. Postal Service.